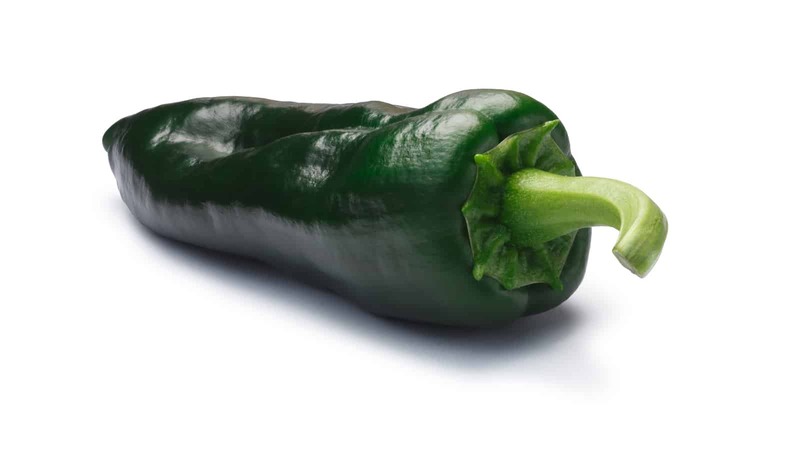 You are here: Home / Chili Pepper Substitutes / What’s The Best Poblano Pepper Substitute? With the immense popularity of Mexican dishes like chili rellenos, poblano peppers have become one of the go-to chilies around the world. They’ve become common in grocery stores, especially in areas with high Mexican populations. But what happens if you need a poblano pepper substitute? To what other chilies can you turn? Whether it’s because your options are slim or you’re looking for a heat bump, there are decent alternatives for poblano peppers out there to fit most any dish you are making. There’s a slight uptick in heat with the Anaheim (they can spike to nearly twice as hot as a poblano), but this chili is the perfect substitute for poblano pepper. Its walls are thick enough to handle stuffing, plus they share a similar girth (albeit not as wide) as the poblano. Anaheim chilies will also usually pair well with most recipes where poblanos are called for diced or sliced. Though, they have a slightly sweeter flavor than the poblano, so know that going in. You may need to pull back (only a bit) on the amounts used to make sure the sweetness or the heat difference doesn’t impact the overall taste. Similar in size to the Anaheim pepper and super-mild (up to ten times milder than a poblano), the Cubanelle is a good stuffing chili. It has thinner walls than either the poblano or the Anaheim, so you’ll need to approach stuffing these chilies with a little more care, but they’ll definitely do as a poblano alternative for this dish, especially if the heat potential of the Anaheim is too much for you. 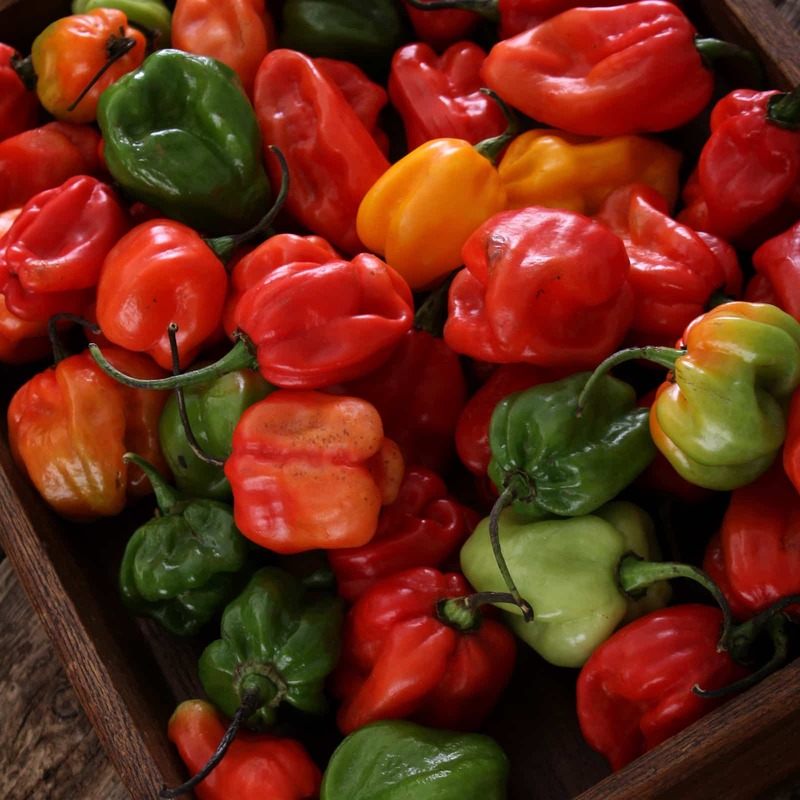 Cubanelle chilies are even sweeter than Anaheim peppers, so they don’t make for a good sliced and diced alternative to poblanos. And if you’re a fan of spicier things, a Cubanelle is not the best choice here as it’s barely a tick above the no-heat bell pepper. Opt for the Anaheim if at all possible. 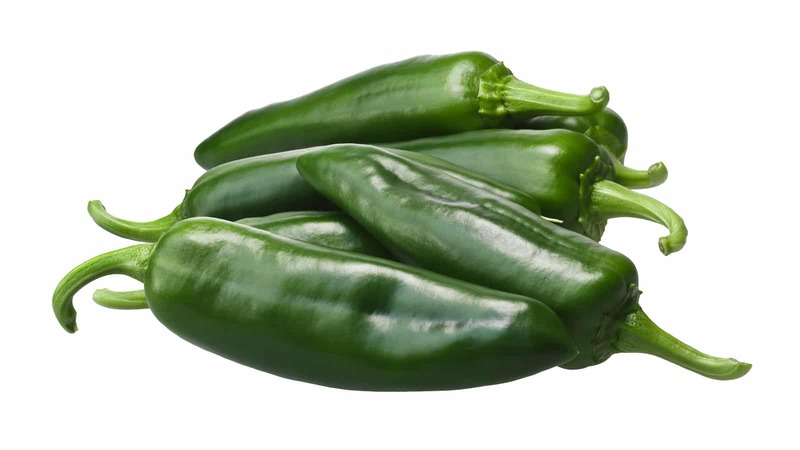 Ancho chilies are simply dried poblanos, and they can sub in for chopped poblano peppers if necessary. But, it’s not a perfect fit. Yes, they are essentially the same chili, but dried chilies tend to have a smokier and earthier flavor than their fresh alternatives. This can greatly impact the flavor of your dish, so pull back on the amounts the recipe calls for and add more to taste. Remember: It’s a must to rehydrate these chilies prior to use. 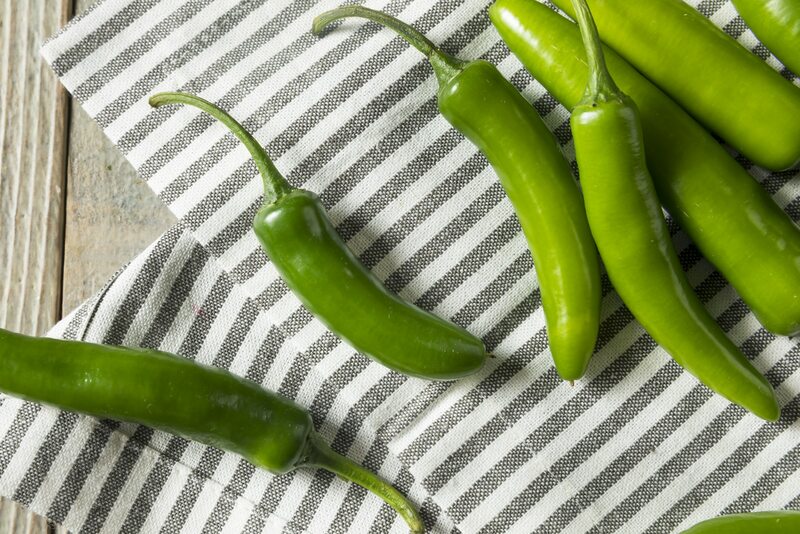 Check out our guide on the best way to rehydrate chilies to get the most flavor out of them. Of course it’s tempting to just reach for the ubiquitous bell pepper as a poblano pepper substitute. Like the ancho they are large and wide with thick walls, making them perfect for stuffed pepper recipes. If you must, opt for the green bells which tend to be less sweet in taste than yellow and red bells. But the obvious catch: There’s zero heat in a bell pepper, so you lose the key unique spiciness that any chili brings to the table. This is not a substitution we recommend if at all possible. It definitely affects the essence of any recipe that calls for the poblano.